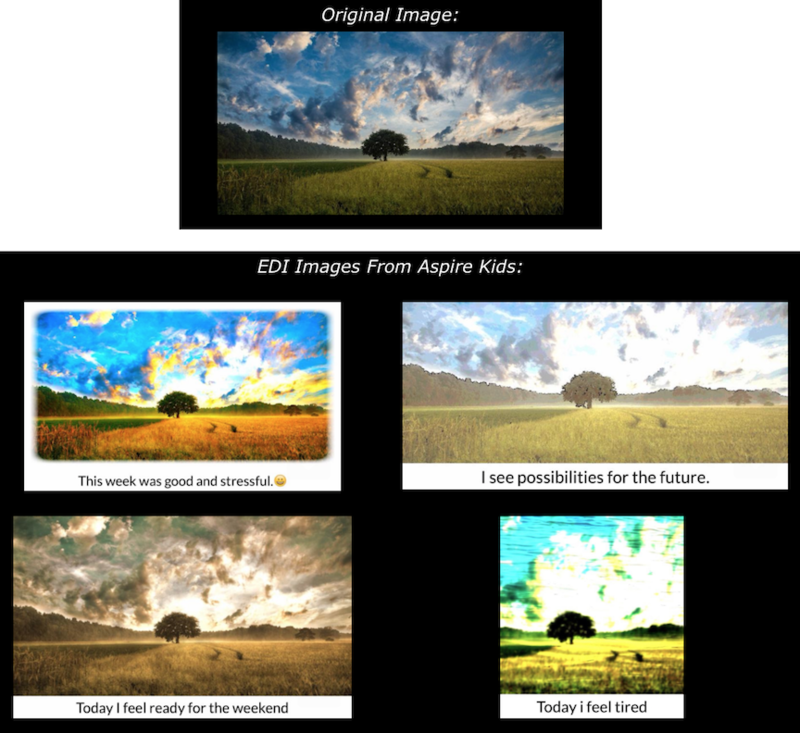 At Aspire, part of the MassGeneral Hospital for Children, clinicians developed an innovative approach for integrating EDI into therapeutic programs for kids with autism spectrum disorder (ASD). As part of a daily “check-in” activity, participants each transform a common image to answer a question such as: “How was your week?”. Frequently, individuals with ASD have difficulty answering questions like these through language alone. Through EDI, Aspire clinicians find participants more expressive and engaged – both important aspects of successful therapy for ASD.